From sauerkraut to sourdough, Americans have been quick to embrace better eating through beneficial bacteria. Whether they'll extend the same enthusiasm to "fermented fashion" is a whole other matter, but scientists from Iowa State University are all but counting on it. Burnished by a grant from the U.S. Environmental Protection Agency, associate professor Young-A Lee and her team are growing vats of gel-like film composed of cellulose fiber, a byproduct of the same symbiotic colonies of bacteria and yeast (abbreviated SCOBY) found in another of the world's popular "live culture" foods: kombucha. 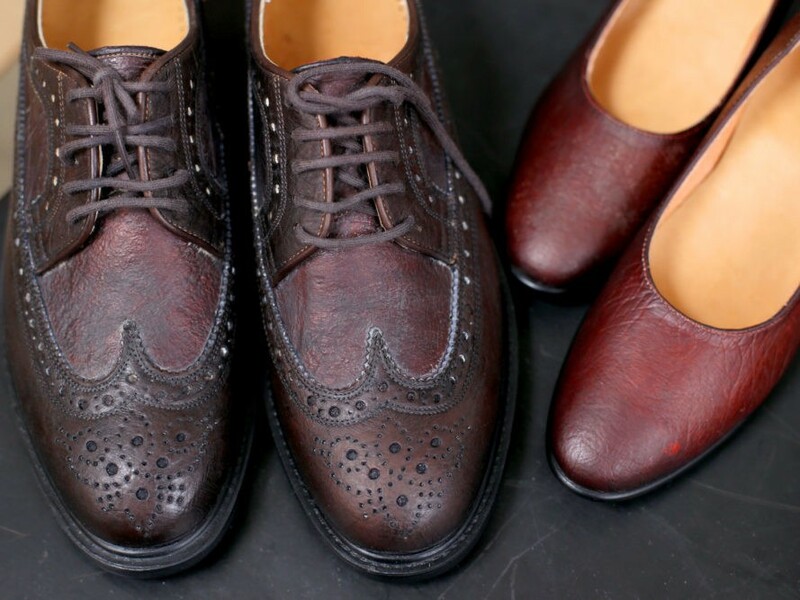 Once harvested and dried, the resulting material has a look and feel much like leather. It can even be made into clothing, handbags, and shoes, according to Lee, who, as far as we can tell, bears no relation to Modern Meadows creative director Suzanne Lee, who pioneered a similar process a decade ago. Not that treading unfamiliar ground doesn’t have its challenges. According to tests conducted by Lee and her team, one of the biggest problems with SCOBY-based “leather” is that moisture—whether from the air or a person’s skin—can make it less stable. Equally non-ideal is the fact that low temperatures can turn it brittle. Then there’s the fact that the material takes a long time to grow—about three to four weeks under lab-controlled conditions, Lee said. But will the fashion industry, and more important, consumers, be on board? Wethinks the two Lees should get together. These "green-tea based cellulose fiber mats" could soon be a viable alternative to materials derived from nonrenewable sources, Lee said. Not that treading unfamiliar ground doesn't have its challenges. 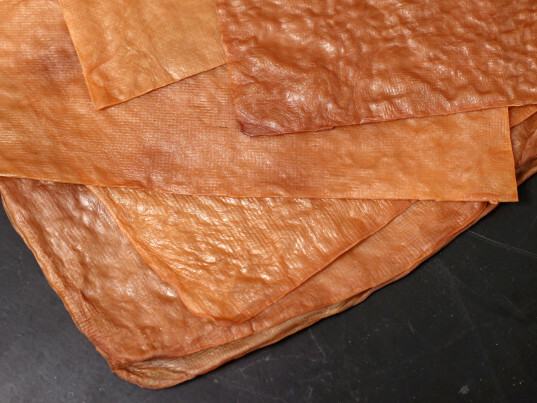 According to tests conducted by Lee and her team, one of the biggest problems with SCOBY-based "leather" is that moisture—whether from the air or a person's skin—can make it less stable. Equally non-ideal is the fact that low temperatures can turn it brittle. Then there's the fact that the material takes a long time to grow—about three to four weeks under lab-controlled conditions, Lee said.